What does it take to become a pilot? Join us as Rick Durden gives us insight into his inspiring pilot journey. Rick Durden started flying in junior high school. He became a flight instructor during his first year of college and helped pay for college and law school for flight instructing and hauling air freight. 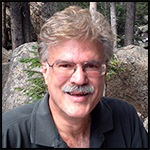 Holding an ATP with type ratings in the Douglas DC-3 and Cessna Citation 500 series, Rick splits his time between practicing Aviation law and as an editor of Aviation consumer magazine and AVweb, the Internet Aviation Magazine. What does it take to become a pilot? 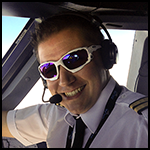 Join us as Owen Zupp gives us insight into his inspiring pilot journey. Owen Zupp’s passion for flight began in childhood and he now possesses over 17,000 hours on a wide range of aircrafts. Owen’s career has included remote region charter flying and flights instruction, international ferry flights, flight testing, and the airlines. He holds a master’s degree in aviation and his writings on the subject have been widely published. Beyond the cockpit, Owen has offered four books, and the popular website, the Pilot’s blog at www.thepilotsblog.com. What does it take to become a pilot? Join us as Rod Rakic gives us insight into his inspiring pilot journey. Rod Rakic is committed to helping aviation work better. He’s the co-founder of OpenAirplane which makes renting an airplane as easy as renting a car. 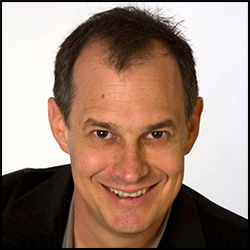 Rod’s career spans twenty years of building businesses as tools to enhance and manage plans, a digital strategist, professional pilot, and user-experience nerd with a mission. What does it take to become a pilot? Join us as Dean Siracusa gives us insight into his inspiring pilot journey. 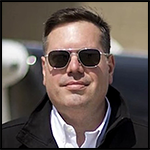 Dean Siracusa is a 2000-hour FAA single engine land and instrument rated pilot, inventor and serial entrepreneur based in Austin, Texas in the United States. In 2006, Dean purchased a rare 1966 Meyers 200D which still to this day is one of the fastest and safest single-engine piston aircraft ever built. The Meyers 200D still holds speed records to this day for production aircraft. What does it take to become a pilot? 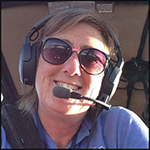 Join us as Kathy McCullough gives us insight into her inspiring pilot journey. At the age of age 16 Kathy McCullough’ flying career choice, was not wholly supported by her parents. However by the end of college, Kathy had purchased her first airplane, a Cessna 140 “taildragger”. 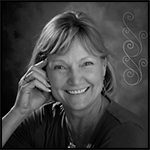 Over the next few years a lot of change followed aviation wise for Kathy, including working as a flight attendant on Vickers Viscounts, Flying Cessna 206’s to and from Mines and even helping fighting fires in Boise, Idaho. Mike Lesser gives us insight into his inspiring pilot journey. Mike Lesser was a frustrated pilot his whole life, but after completing his university degree there was nothing else he wanted to do except fly. Training full time, within about a year and a half Mike had his commercial license, instrument rating and ATPL subjects completed. After 8 years of hard work, Mike now has both Australian and New Zealand ATPL licenses….and flies internationally as a First Officer on the Boeing 737. Join us as Maria Langer gives us insight into her inspiring pilot journey. Maria Langer is a commercial helicopter pilot and the owner/operator of Flying M Air, LLC based in Washington State in the United States. Flying is her third career and she’s been at it now for 15 years. Maria blogs about flying, building her new home, recovering from an ugly divorce and a variety of other things at www.MariaLanger.com. Join us as Lauren Richardson gives us insight into her inspiring pilot journey. 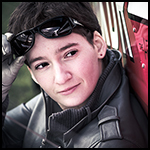 Lauren has been flying since she waved goodbye to her teens and is enjoying her fifth season of flying aerobatics along with her third as a display pilot. Self-funded, Lauren has flying in her blood as she is now living the dream her younger self conjured up. 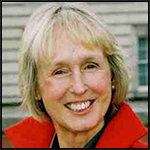 Join us as Polly Vacher gives us insight into her inspiring pilot journey. It may have been over 20 years since Polly Vacher MBE gained her pilots licence but she’s packed a lot of flying into those years. Polly achieved incredible feats as she’s circumnavigated the Australia, the United States, and the entire globe. In 2004 she became the first solo woman to fly over the Polar Regions and she did all of this to gain scholarships for the disabled. 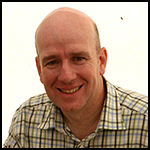 Join us as Mike Weeks gives us insight into his inspiring pilot journey. Mike Weeks is a First Officer with Monarch Airlines, based out of Luton Airport in the UK. An Airbus A320 & A321 pilot, flying mainly to various destinations around Europe, to the Canary Islands, Egypt & Turkey. 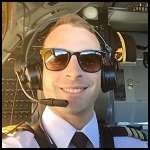 Mikes journey to the right hand seat has been via the ATPL Modular route and fully self funded. Receive New Podcast Notifications, Updates & Useful Resources!